Played by Ghostpaw who has 346 posts. OOC: This thread is Garmir officially with @Nauja as the former betas of the CAD assuming their roles as new leaders of the pack. This happens few days after Treyah's and Draven's departure. All members remaining should make appearance. I will post again next time 19th of Febuary. No posting order. Light Snow -13.01 ° F, -25. The earthen male let out a deep sigh. Out of all outcomes - out all his grand plans he had for the pack - this he had not forseen. Reading emotions had never been his forte but he could have not imagined a scenario where Treyah - the wolf he had worshipped blindly and without question - would ever abandon these woods and all its history behind. Garmir had seen she was hurting, they had discussed about issues close to their hearts after all, but he had never thought she would see the need to leave all this behind - leave him behind. The event had been unceremonial to say the least and all he could do was to watch his leaders disappear into the distance while his own heart and mind had been filled with anguish and confusion. Had Nauja not been around, Garmir would have propably went into a panic. He needed a leader to function and right now he had nobody above him, no-one to tell him what to do. Was there even Charred Ash Draw anymore? To the earthen male Treyah had been the draw, the reason the whole pack was still together in some capacity after lord @Triell had gone missing. There were still wolves whom remained sure but what reasons they had anymore to even remain together? Only the winter and need to stick together to weather it? That wasn't much but he hoped things could still be salvaged. Garmir was now longest standing member of the pack and even he had been part of it around one year. He took one more deep breath before turning to look by his side. "It's time." -He said, words directed to the sea wolf, Nauja whom was with him. He was only glad she was going to share the workload with him. Garmir wasn't best choice for leadership and he knew it. 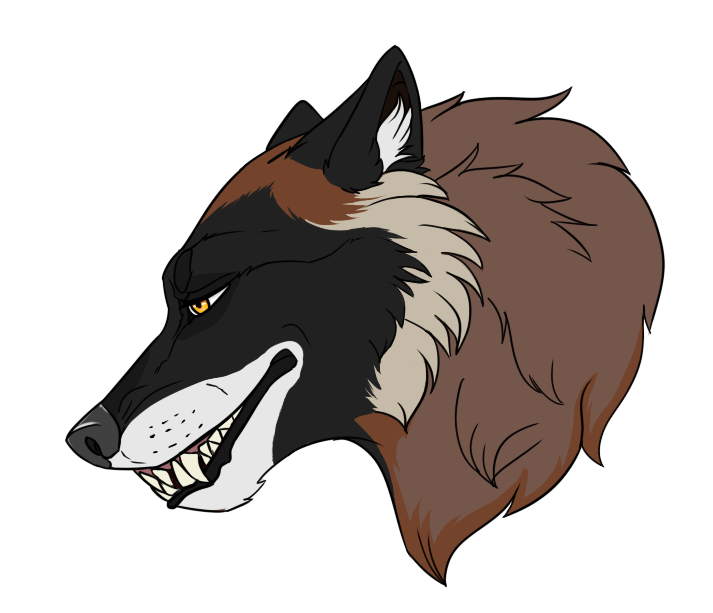 He raised his head towards the sky and howled into the heavens, calling all the remaining members and his apprentice (if he was around) as well to gather up with the pack near the old den at the heart of the territory. The tune which he announced it told this was important and he expected everyone to be there. Played by Joe who has 378 posts. It was time. Vaken had been around the border for quite some time, considering his options. He was still a lone wolf. Being beckoned into territory felt foreign. He hadn't been expecting such an easy invite inside. Garmir had made it clear that Vaken should stay away, not claim leadership. Something big was happening. He knew that it had to be done. The man raised his nose to the air and responded with a few sharp barks, calling his own comrades, but alerting his mentor he was on his way. Vaken wanted leadership. He did not know what was going on behind the border, just that he was going to be part of it. If he knew the pack was crumbling already, he wouldn't have been so excited to take it over. He moved through the scent markings with his head low and ears flattened, sleevy looking. He was a minx. It was clear from his body language that he wasn't an honourable man. His intentions were selfish at best. He wasn't going to miss this though, not for anything in the world. Played by Wolfsong who has 107 posts. Ferreiran was close by, and hearing a strange wolf's call, then Vaken's told him this must be important. He rushed over, and seeing his scruffy friend, he moved to stand by his side. He brushed against his shoulder to let him know he was there, but didn't speak. He would learn in due time, anyway, and Vaken knew not to wait for the woods boy to initiate conversation. There was a feel to his best friend's mood today, a nuance that wasn't usually there. There was an opportunity here, of some kind. One that got Vaken excited. What could it be? The shadow was curious. Played by Becca who has 37 posts. She moved like fluid as she closed in close to Vaken's position. She mimicked his position, a certain more slither to her moves than a wolf should have had. The woman was no doubt more snake than wolf today. Her teeth offered a soft click to the younger male. It was a more soft announcement to her arrival. She was not looking to draw attention to her presence in this. The Tempest knew she was here to further push Vaken, release his untapped his potential and perhaps gain from it herself. A selfish beast she was this morning. She was ready for whatever would unfold though between the rogue band and this strange pack. The good, the bad and the ugly. She was determined to see this through. Played by Kai who has 253 posts. Nauja hadn’t seen this coming, not in a million years. Treyah and Draven had left the the draw so suddenly and without warning. She’d been here before when the alpha pair just up and left. Now it was up to her and Garmir to keep the pack going. All the sea wolf really wanted to do was run into the forest and not look back. How long would it be before the pack fell and none of them had homes? Yet there she stood next to her new co-lead ready to take over the pack, she wanted to vomit from the nerves she felt fluttering in her stomach. What would Tyne think? She hadn’t even had the chance to talk with him. Then when Garmir declared that it was time she nodded, “Let’s get it over with.” She didn’t want to draw it out any longer than necessary. Vaken slithered his way into the clearing, joined by his allies on either flank. They were quiet, dark and menacing, moving together. He had prepared himself for a full pack, thriving numbers, a full cache. His eyes had been set on stealing success- not rebuilding it. It didn't take him long to realize things were worse than he had expected. The packs scent was stale, dwindling away. There were barely any paw prints in the snow. Garmir stood with a female, but no one else. The scruffy boy took a seat a few feet away from the pair, shocked. It didn't take him long to piece it together. This was the pack. These two wolves were all that was left, the few straggly pieces left behind. Had the rest of the Draw moved without them? Forgotten to bring them along, or had Garmir and this woman stayed knowingly? A bitter taste entered his mouth, his heart sinking at the reality of the situation. This hadn't been part of the plan. He shot Circe a nervous glare, whining only loud enough for her to hear. Was this what they wanted? He was having second thoughts. There was nothing left of this pack. It was nothing. Why had Garmir called? The boy kept his face void of emotion, his chest out and eyes wide. He was piecing the puzzle together quickly, connecting the dots. Vaken had no ill will towards his mentor. He did not want Garmir to struggle through the winter, to not have a pack or a home- is that why he had called? Did Garmir need his help? The boy nodded his head in a greeting towards the pack wolves, maintaining eye contact. He had no intention to submit to anyone. He had prepared himself to take over, to demand leadership, but now he wasn't sure he wanted it. He reached his tail out towards Circe, looking for a sign. When Ferreiran saw the two wolves, he was a bit confused. Was this the whole pack? Vaken had told him about the plan, how they would be taking over a strong pack. He'd gotten excited about the prospect. That in itself was a miracle, given his solitary nature. But he trusted his friend to do the right thing. They'd been friends since they were just yearlings, and the shadow knew the other male understood him and his need to be alone sometimes. 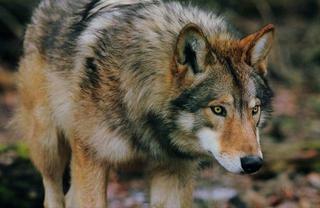 He was one of the only wolves who had talked to him in those first weeks away from his family. Well, it couldn't really be considered a conversation, given that Ferreiran had only said four words, but a lot of understanding passed silently then. His excitement dropped quickly as no other wolves showed up. The two were alone. He nudged Vaken's shoulder, asking, Is this really our new pack? His doubts rose. A smaller pack would have less wolves for him to have to interact with, but he'd also have a harder time remaining on the outskirts. Played by Grae who has 203 posts. Things had been odd to say the least since his return. It had been only a couple weeks at most and the leading pair had decided to leave. Tyne had noticed their absence but didnt fully know they were gone for good. He had just gotten back and was more focused on keeping an eye out for his boy @Zale, tending to his love and doing extra work in penance for disappearing. Today was no different for the large sea wolf was on the far side of the territory doing a border patrol when Garmir's call went up. Charcoal ears stood at attention as he listened to the call. Large creamy paws pounded against the still frozen ground as he made his way to the heart of the Draw. It had taken him longer than he though, which was made apparent when he finally arrived. The ghost stood tall and the dark form of Nauja stood next to him. Facing them were three strangers that Tyne didnt recognize. Their scents were familiar though having been around the border here and there. The agouti man came up to his love's side and gave her ear a nibble. Golden orbs then fell on his packmate as he gave him a nod before looking over the three strangers. Had Garmir invited them in? Or were they trespassing? What exactly was going on here? OOC: Garmir knows in detail most of Vaken's adventures as they have a contract. Vaken has however kept existance of Circe secret until now. Also Aponi and Corsair never joined the pack despite they showed briefly on the roster. Shadow rolled back that joining so... we continue as if OTB never merged with CAD in the first place. Sorry for confusion. Garmir's howl carried through the entire territory and beyond. No soul remaining in the Draw should have missed it but unfortunately the number of wolves whom answered to it was.. not something the earthen male had expected. Of the wolves of the Charred Ash Draw only Tyne showed up - as if there really were anyone else besides him, Garmir and Nauja. Vaken responded as well, like he had hoped but the apprentice brought a strange lot with him - without asking permission. Garmir grumbled disapprovingly under his breath, his eyes moving over to his student in search of explanation. It better be good one. Of course, Garmir wasn't entirely clueless about Vaken's company. He recognized Ferreiran from his earlier descriptions and reports, but the female was entirely new character Vaken had not shared any knowledge of with his teacher. This was concerning sign, a hint that Vaken might have been plotting against Garmir - or not upheld his part of the deal to a decree that was expected of him. The agrement was Garmir would teach Vaken and in turn Vaken would share everything he sees and hears with his teacher. Garmir's upper lip twitched the slightest as he struggled to contain his anger. At worst this was outright betrayal - though there could be more personal reasons for this silence. Perhaps she was his girl of interest? Garmir also took note of how Vaken and Ferreiran especially seemed distressed, almost nervous. They had clearly planned something before coming here but what? Garmir took glance to his side at Nauja and Tyne, managing to offer them faint smile. Garmir was clearly feeling down, but that did not stop him from trying to keep what remained of the pack alive - even if it was just the name. "Vaken... " -Garmir begin, his eyes having not yet moved back to his student before he spoke. He almost could not bare to look at his apprentice now, having smelled betrayal coming from his way. The earthen male could not take two betrayals in such a short amount time and keep his calm. He was now on a short fuse and unpredictable and he hoped Vaken understood enough for his own safety not to tempt him with idiotic stunts. Garmir's voice well carried that underlying threat as he spoke. "...If there is any loyalty in you, I need you now..."
The earthen male approached the young man that had brought the strangers with him, not directly towards him but rather making a round from Circe's side see whom this strange female he knew nothing about was. He kept his eyes on his apprentice however throughout the approach. Garmir's tail was unusually high, signaling his obvious claim to leadership were it not clear already from rest of his mannerism. "...because this is all. All that remains of the Draw and we need to decide here - now - whether there is enough of us to actually form a pack... "
It was really a disappointment to the sea wolf that the pack had shrunk to such small in numbers in such a short amount of time. She had thought this would be the landing place for her family, that they could make a home there in the draw. Now she was wondering if it was even worth it to stay. That question became even louder in her mind when Garmir’s call apparently summoned wolves that she didn’t know. The appearance of them had her worried for her son’s safety, didn’t she even want him around these wolves that she knew nothing about? It became clear as Garmir spoke that he knew them and it seemed was asking them to join. Nauja had leaned into her lovers affection but now she looked to him for some clue a to what he thought about all of this. All she could think was that this was White Fir Notch all over again and that soon enough she and Tyne would be on their own again only this time they would have Zale with them and would have to ensure his safety when it had already been hard enough on them before. Still she remained silent letting things unfold before she might say anything.